What is LinkedIn anyway? You might be wondering why you should get on yet another social media platform? And to be honest, I completely understand why you might be thinking that. But LinkedIn is different from Facebook, Google+ and the other social media platforms you might be on. LinkedIn is the Worlds biggest professional social media network. With more than 410 million users LinkedIn has approx. 100 million more users than Twitter. For more LinkedIn stats click here. To give you an overview of what LinkedIn is and why you should be on there, I’ve collected some of the most important things you need to know, and I’ve thrown a few tips in for you to get started on your profile on the right track. LinkedIn is the place to be if you want to stay on top of what goes on in your industry, grow your professional network and attract more career opportunities. Interact with people in your field from around the World. Follow and connect with industry leaders and get their thoughts on tendencies and what’s going on in their World. Your LinkedIn Profile has eight important areas you need to set up. 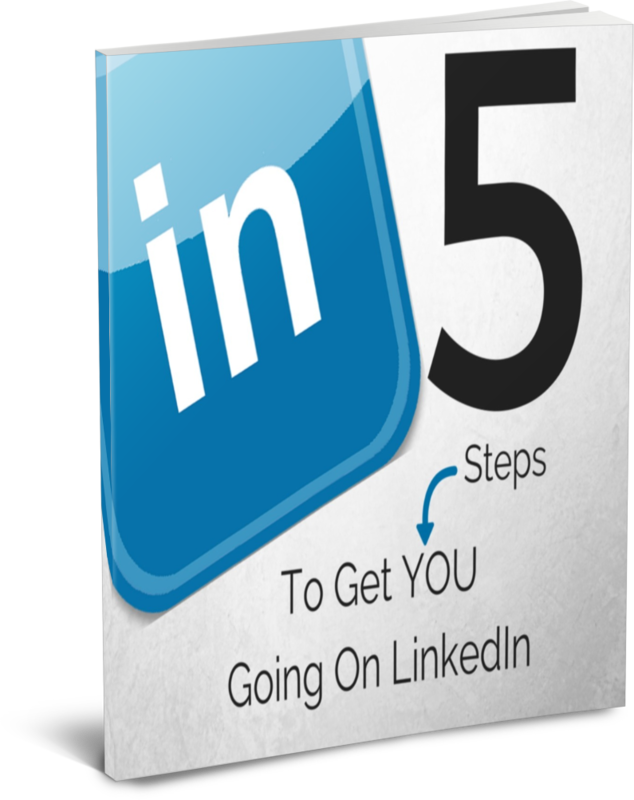 It’s a process you’ll be walked through by LinkedIn. Here I’ll give you some tips and notes to consider when you set up your profile. Having a profile picture has a massive effect on the visitors you get on your profile. Your picture, along with your headline, is the first thing people see in searches. And having a picture on your profile will get you 14 times more visitors, compared to not having a picture. Make sure it’s a nice picture that reflects your professional personality. Put on your best smile, be approachable and make sure there’s not too much background “noise” in the picture. Your face should be the close-up and focus. Having a picture will also help you when you want to connect with others on LinkedIn. People are more likely to accept a request to connect, from someone with a picture on their profile. Think of your headline as a curiosity-provoking teaser, where the purpose is to draw visitors to your profile. You can create your headline in a few different ways. Some choose to list their skills, and others write a statement which includes a few of their strongest skills. Writing your headline as a statement can be a little tricky since you’ve only got 120 characters to use. But it’s possible, and it’s my favorite way to do it because it gives people a little better sense of who you are as a person as well. I’ve written this post to help you create a powerful statement, based on your value proposition. Another way to create your LinkedIn Headline is to mention your title, who you help, how you make a difference and bring some proof to it. You can get more inspiration on how to write your headline here. You want to make yourself as accessible as possible. By adding your private email and phone number, website, and other practical information, you make it easy for people to get in touch with you. Who is it you want to reach with your profile? What do you want them to take away from your profile? What achievements do you want to take to the front? Which of your key skills do you want the focus on? What makes you stand out and unique? Once you’ve collected all the things you want to include in the 2000 character summary, then it’s time to write it. Don’t write in a tone that’s too formal. Make sure to write it with a personal tone and future driven. Start off with what it is you do and why. You want to wow your audience from the get-go. Once again I recommend you read the article about creating your value proposition. It will help you write a powerful statement to begin your summary with. It’ll make the reader feel you, and the passion you’ve got. Once you’ve let the reader in, then it’s time to get to the facts, figures, and stats. Mention 2-3 of your greatest professional achievements. This could be that you’ve cut last years spendings with $1 million, or whatever it is you’ve done or created. Describe your 2-3 superpowers/ key skills and how you can help make a difference because of them. It would be awesome if you can throw in a testimonial in your summary as well. One thing that works great in your summary is using numbers and bullets. They will stand out from the rest of the text and break up the text, so it won’t be as massive to read. You could also divide your content up into sections with headlines. In the end, you want to create a call to action. Let people know that you’re open for connecting or tell them to go to your website to read even more about how you can help them reach their goals. Here a link to 2 LinkedIn summary examples. Having a thorough and well-written resumé where you explain what it is you’ve previously done, will give visitors a great sense of what you’re capable of. Add projects you’ve been part of during your employment periods, upload articles, videos and links to other things, that’ll help readers understand what kind of value you bring to the table. Make a list of the skills that make you shine. Having that gives your connections an opportunity to endorse those skills which give you some social proof, that you are good at those skills. Just like your resumé, you write about the courses you’ve taken and the education you’ve got. If you’ve done or are doing volunteer work, then add those to your profile as well. It shows a lot of character and says a lot about your personality as well. Your keywords are the skills you want to shine throughout your profile. This is a very important thing to consider and spend some time to work on. Make sure you weave your keywords into your profile text, which will help you show up when others search for your specific skills. What is so great about LinkedIn, is that it makes it possible for you to find and connect with people from your past jobs, which is where I suggest you start if you’re new to LinkedIn. Make sure, when connecting with people you haven’t met, that you always write a personal invite as you request to connect. Let people know why you find it interesting to connect with them. Otherwise, they will think you’re just into increasing your numbers/connections, which can be a turn-off to many. Once you’ve connected with former colleagues, clients, customers, etc. is time to build your social proof on your profile. Ask your connections for testimonials on your key skills. When you request an endorsement, mention that you’ll be more than happy to write one for your connection as well. Don’t ask people who you haven’t worked with or have some relation to for testimonials. It’s not enough just to have a profile on LinkedIn. You’ll have to be active and display your skills. Once you’ve setup your profile and established yourself on LinkedIn, then you can gain a lot of knowledge by engaging and commenting on posts in group discussions. With an estimated 3 million groups on LinkedIn, there is a little something for everyone. By joining some of the many groups that are relevant to you, you set yourself up to succeed when it comes to gaining knowledge, growing your network and your reach. Being active in just a few groups, you’ll quickly connect with other like-minded professionals and expand your network. You can find and follow more than 4 million company pages on LinkedIn. This gives you a unique way to stay up to date with the things, that is going on in some of the companies you might be interested in working for. When you choose to follow a company on LinkedIn, you’ll get notified when they have open positions, product launches and anything else they choose to share through their company page. More and more companies choose to post their open positions on their company pages on LinkedIn, instead of using the usual job sites. In today’s job market most job openings get’s filled through network and professional connections. LinkedIn Pulse is LinkedIn’s news feed, where you can read blog posts from more than a million ‘LinkedIn Influencers’ such as Richard Branson, Bill Gates, Tony Robbins, Mark Cuban, David Cameron and other LinkedIn members. You can also choose to follow what LinkedIn call channels. This is topic-based channels such as Leadership & Management, Marketing, Recruiting & Hiring, Green Business, Healthcare, Education, Bank & Finance and more. To add to that, you can also follow different publishers like Harvard Business Review, Forbes, Reuters, NY Times and lots more. Sharing your knowledge, that is what networking is all about. That’s why it’s crucial that you regularly share updates, such as articles, interviews, quotes or anything you find interesting and professionally relevant. Just make sure the things you share creates some value to your connections. There’s nothing more annoying than people who share meaningless math problems or pictures/updates, that should only be posted on Facebook and other social media platforms, with a less professional profile. Another great way to share your knowledge is to write blog posts on LinkedIn. With these long format posts, you can increase your reach and attract new people to your network. There is just one critical thing you need to be aware of if you choose to write blogs on LinkedIn. Read about it here. Keep in mind you don’t own the content you create and share on LinkedIn or any other social media platform for that matter. Read more about how you take complete ownership of your career brand here. To sum up, the answer to your question what is LinkedIn? I have to say; it’s a place you definitely should be if you want to position yourself for future career opportunities. I’ve connected with a lot of great and generous people from all over the world. If it weren’t for LinkedIn, I wouldn’t have attracted most of the opportunities I’ve gotten to do keynotes, workshops, and many other exciting things.